First off, I have spent the entire day working on this stupid thing and going through the forums. I am a systems engineer and I do troubleshooting for water and wastewater treatment plants, so I thought it would be a piece of cake 20-minute fix. After reading the forums, it seems that this entire product line is crap, and just over 3 years is the designed-in failure point. I am trying to fix the washer for my grandmother, all she could tell me before I got here was that the clothes would be in the bottom of the washer, sopping wet, but no water in the washer. She also said that the first time it gave her issues, she opened it up to find it full of water. That happened twice, then it went back to working fine for a few months. In a wash cycle, it gets to spin, does the sensing, starts to spin for about 5 seconds then kicks out, lock led flashing; sets a new instance of F7E1 (It may do the same in automatic test, I think it did but can't guarantee it. Too many attempts). In manual test all modes pass, heavy agitate ran for 90 seconds without a problem. Heavy spin took 110 seconds to come to a stop, Light spin took 65 seconds. I get stated this morning on it and get error codes F7E1, and found multiple people on here where the shifter fixed their problem. I came up here with a lid switch and lock latch, but not shifter. Found a repairman nearby that had a used but supposedly good shifter and picked it up for $25. Changing the shifter didn't help. Performed the calibration and it didn't help. I got a copy of the tech sheet from the forum, and spent the last 4 hours testing the entire thing all the way through. The only test that 'fails' is shifter step 9, connect to J2 pins 1 and 3, put in manual test and change between agitate and spin. I get a 5VDC reading no matter what mode i change to. All functions pass in manual diagnostics, light and heavy spin and agitate. Tach test passes, drum spins freely, I ohmed out the wires all the way through as shown at the bottom of page 14, and I'm out of ideas. 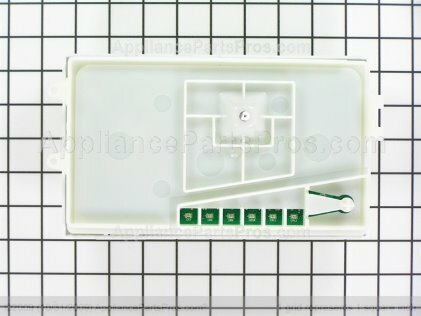 The most similar forum post I have found is: https://www.applianceblog.com/mainfo...d-won-t-unlock. This model has wire loom along the harness and no inductive loop (and it looks like it just rolled off the factory floor), so the notes from file: Service Pointer - W10606242 (Basket Speed Sensor Fault).pdf do not appear to apply. Did I screw something up on the 5V test? I tried it with and without J16 connected. Does this point to the control board being bad? I don't understand how it could even start a spin cycle if it didnt think the shifter was in the correct position, and I don't know why it can send a basket speed fault when the tach test appears to pass. If the only thing this points to is the control board, a $211 part shipped, is it worth buying for this unit, or am I just going to perpetuate a repair cycle? Sorry for the rambling, posting while frustrated is probably not the most forum-friendly thing to do, but I absolutely do NOT want to go to bed with this problem still on my mind. If I disconnect J2, and attempt a spin cycle, the shift actuator 'hunts' all the way from spin to agitate and back, and when I plug in J2 it stops hunting on spin. To me, that proves that the shifter position feedback is working, even though the J2 1-3 5V test didn't pass. Sounds like you received a defective shift actuator, 9 times out of 10, F7E1 is a bad shift actuator. transmission during the spin cycle. This is proof that the shifter/sensor assembly is the issue because the optical sensor is not reading the motor speed. Here's how to test your Shift Actuator - You will need a multimeter to test it. Remove the J16 connector from the main control board and ohm test across the J16, 1 and 2 Connector Pinouts. Resistance should be between 2k to 3.5k ohms. IMPORTANT: Lid must be closed with Lid Lock enabled to run the SPIN and AGITATE tests. NOTE: It will take between 4-15 seconds for the shifter to change states. If 120 VAC is present, go to step 9. If 120 VAC is NOT present, go to step 17.
a. Unplug washer or disconnect power. b. Replace the main control. c. Reassemble all parts and panels. d. Plug in washer or reconnect power. Calibrate washer and perform Automatic Test to verify. Access/replacement Video included in the part link. You can also look at the thread I helped Adam here: FIXED: MVWX500XW Basket speed sensor? His Maytag uses the exact shift actuator yours does. Whirlpool owns Maytag. Shift actuator passes test, 2.7kOhms. 120VAC when K8 engaged. Actuator moves when called, full motion, engages transmission in both directions, actuator stops where it is supposed to with J2 connected, continues to cycle if J2 is disconnected. Don't have a main control board to swap out (yet). I will be coming back by my grandmother's on Wednesday or Thursday, so I have time to get parts while I am home. The post where you helped Adam is the closest thing to mine that I've seen on the forums, except he was getting 5V constantly on the Optical Sensor return. I am getting 5V constantly on the signal source, which is a confusing test for me (and my optical sensor seems to be working fine, at least going by the tachometer test). I have been connecting my multimeter to the control board J2 pins 1 and 3, with J2 disconnected; to me J1 is the shifter position INPUT, not an output, so I'm not sure why the manual is telling me that I should see it change between 5V and 0V when it changes form spin to agitate. To me, that test could be valid if it is a sinking input and J2 was connected, but the tech sheet that I have specifies that J2 is disconnected for that test (actually, it never tells me to reconnect J16 either, I've tried it with J16 in both states). Have I been performing the shifter position test incorrectly? Do I have a bad spec sheet? Or does this point to a bad control board? It seems you tested it properly, I don't think the tech sheet is bad. When testing optical sensor in step 10, I got the correct result in step 10 (+13VDC), but in step 11, the RPM never strayed from +5VDC. Assuming this is consistent with "voltage is not confirmed", as it should vary between 0 and +5VDC. Did you get +13VDC in step 10? Step 11 he said the +5VDC never strayed, and it should vary between 0 and +5VDC. Using the Basket Speed Sensor Fault PDF which BigBuck posted, the machine failed the Tachymeter test, which is consistent with the RPM result - the machine always thinks the basket is moving. mode, switch between Spin and Agitate modes. Voltage should toggle between 0 and +5VDC.  If voltage corresponds to setting, go to step 10.  If voltage does not switch, go to step 12.  If +13VDC is present, go to step 11.  If +13VDC is not present, go to step 17.  If the tachometer is not verified, go to step 12.  If the tachometer is verified, go to step 17. 12. Unplug washer or disconnect power. of the washer and the drive motor area.  If visual check passes, go to step 15.
electrical connections and repeat step 1.
using the pinouts in the following chart.  If there is continuity, go to step 16.
washer harness and repeat step 1. 16. Replace the shifter assembly. washer and perform Automatic Test to verify repair. problem, replace the main control. It says in step 17 your shift actuator is good, then order the control board, that's the only other part it could be. Forgot to update the thread. Even after all of the tests had passed, changing the shift actuator did actually fix the problem, the control board was not necessary. Thank you for all of your help. Excellent, glad to hear that. Thanks for the update, better late than never!